I know I’m not the only one looking forward to our upcoming Learning Lab: Evolution of the Canon 5D Mark IV with Adam Van Voorhis on Wednesday, January 25th. This revolutionary camera has become a staple with filmmakers since the release of the EOS 5D Mark II in 2008. 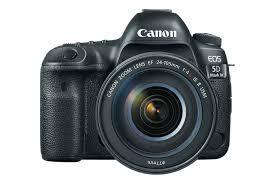 It was the first camera of its kind to provide high-quality video in DSLR format. Since then, Canon has made significant strides with the 5D line by adding high speed 4K video, a DIGIC 6+ Image processor, as well as dual pixel auto focus, previously only seen on the higher-end EOS cameras. The current 5D Mark IV also runs on the affordable compact flash media and is one of the best low-light still cameras on the market. Now in-stock and for sale at Rule Boston Camera. Call or email our sales department today for a personalized demo: sales@rule.com or 800-rule-com. Click here for sales details. Rebates…rebates…rebates! It’s that time of year again when Canon announces tremendous savings in the world of digital cinema cameras. While some things change, others… stay the same. Beginning earlier this month, and now extended to March 31, 2017, you’ll find significant savings when you buy a C300 Mark II, as well as a C100, and C100 Mark II. We were also pleasantly surprised to see the return of the $300 instant rebate for the Cinema Prime Lenses. What’s really exciting is the wide range of rebates for the Pro Camcorder line, including the XF305, XF300, as well as the XF205, and XF200. Click here for a summary of Canon deals, and I would definitely encourage you to pick up the phone and chat with anyone on our sales team, myself included. We’re happy to help with the right gear for your next project. Just a quick note that we’ll be closed on Monday, January 16th in observance of the Martin Luther King, Jr. holiday. We are available for emergencies, so please reach out to us by phone at 800-rule-com.